Massachusetts Bicycle Accident Attorneys of Gilman Law LLP are Here to Help You. If you ride a bicycle as a mode of transportation or as a recreational activity on the public roads in Massachusetts, you could be injured by a negligent driver. In 2007, nearly 700 bicyclists were killed and more than 44,000 were injured in traffic accidents according to the National Highway Traffic Safety Administration. This number is alarming. Reckless and careless drivers and unsafe road conditions can result in serious injuries for the unwary bicyclist. The Massachusetts bicycle accident lawyers are here to help you and your family if you are involved in a bicycle accident. As you are aware, the human body is unprotected when riding a bicycle with the exception of a helmet and you can suffer serious injuries, such as broken bones, compound fractures, head injuries, traumatic brain Injuries, back and spinal cord injuries, paralysis or death if you are impacted by a motor vehicle. Bicycle accident injuries are often serious, leaving people and their families with substantial medical bills and changed lives. Our team of Bicycle Accident attorneys are dedicated to assisting you throughout the entire process. We will thoroughly investigate the cause of the accident, not only by relying on the police report. We will interview witnesses and have our medical experts evaluate your injuries to determine the full impact of our injuries so that you will receive full and fair compensation. 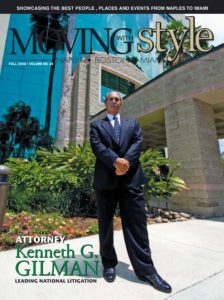 If you or a loved one have been injured in a bicycle accident in Massachusetts caused by another motorist, the Massachusetts personal injury law firm of Gilman Law LLP has experienced bicycle accident attorneys that will represent your legal rights and strive to get you the compensation you deserve for your injuries. 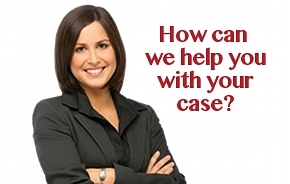 Please complete our free consultation form online or call Gilman Law LLP at (888) 252-0048. Opening the door of a parked vehicle without looking for cyclists. If a motorists fails to obey the traffic laws, they can be held liable for the damage and injuries that they cause. Our lawyers who concentrate in bicycle accidents investigate each case to expose driver negligence, speeding and other factors that contributed to the accident. If the wrongdoer is found at fault, you may be entitled to recover cost for medical bills, lost wages, lost income, loss of earning capacity, pain and suffering and emotion distress and disfigurement compensation. If you’ve been a victim of a Massachusetts bicycling accident caused by another motorist, you may be entitled to compensation for current and future medical bills, as well as lost wages and pain and suffering. Bicyclists have the same rights as any other person on the road and they deserve an aggressive lawyer to fight for those rights. Our Massachusetts bicycle accident lawyers have helped hundreds of victims and their families recover from injuries in car, truck and bicycle accidents. Our lawyers have achieved success in winning large settlements to ensure our clients can put their lives back together after a serious accident.